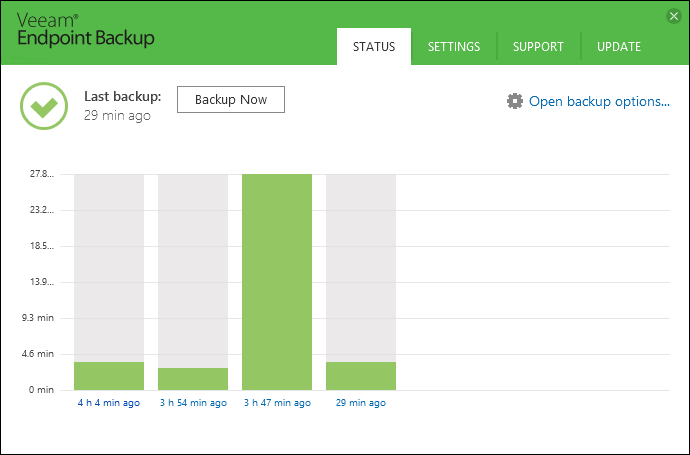 Veeam, known for being one of the leading providers of enterprise virtual backups have just announced they will be releasing a free backup tool for desktop users, providing automatic backups to a NAS or other hard drive. Veeam Endpoint Backup FREE looks like it will be a great set and forget solution, allowing both simple file recovery or bare metal recovery. Using Mac OS X at home with Time Machine, I often wish there was a good free equivalent to recommend for Windows users. I’m sure there are options out there, but I really trust Veeam and it looks like it will be a nice simple product with no pressure to upsell to a paid version (there is none). Don’t forget you still need an offsite backup – so team this up with a cloud backup, have another hard drive which you rotate offsite or buy a pair of NASes- setup replication and distribute among your family (those 50Mbps upload UFB plans have to be good for something right?). If backing up to NAS, very good idea to setup another shared folder & separate user account on the NAS specifically for the backups to be saved to. Never ‘map’ this backup folder to My Computer, and your own user account should have read only access to the folder. Hopefully we will be able to configure a UNC path and credentials within Veeam directly. This is to help minimise the possibility of ransomware or other malware which might scan your network for files to delete. I haven’t heard of anything doing this yet, but there is definitely malware out there which deletes or encrypts files on mapped network drives. First beta will be released in November and scheduled for release in early 2015. This entry was posted in Tech and tagged backup. Bookmark the permalink. Post a comment or leave a trackback: Trackback URL.